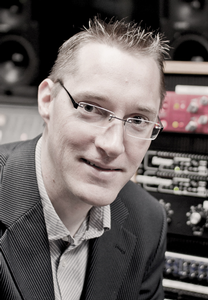 Ian Corbett is the Coordinator and Professor of Audio Engineering at Kansas City Kansas Community College. He also owns and operates "off-beat-open-hats - recording and sound reinforcement", specializing in servicing the needs of classical and jazz ensembles in the Kansas City area. Ian’s book “Mic It! – microphones, microphone techniques, and their impact on the mix” was published by Focal Press in 2014, and he also authors articles for Sound On Sound ("The Worlds Best Recording Technology Magazine"). Since 2004 he has been a member of the Audio Engineering Society's Education Committee, and has presented, mentored, and served on panels at local, regional, national, and international AES events as well as many other professional industry events. He is also a member of the Producers & Engineers Wing of the National Academy of Recording Arts and Sciences. Ian holds a Doctor of Musical Arts degree in composition from the University of Missouri-Kansas City, and he can frequently be found playing saxophone in Kansas City’s jazz clubs and restaurants.